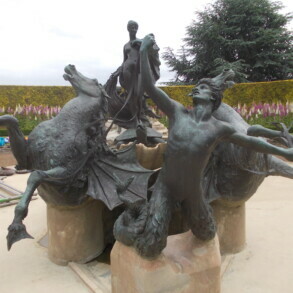 Removal of limescale build up and degraded wax, along with the need for some selective re-patination, filling of corrosion holes and cleaning were all needed prior to re-waxing to bring this bronze fountain back to its former glory. 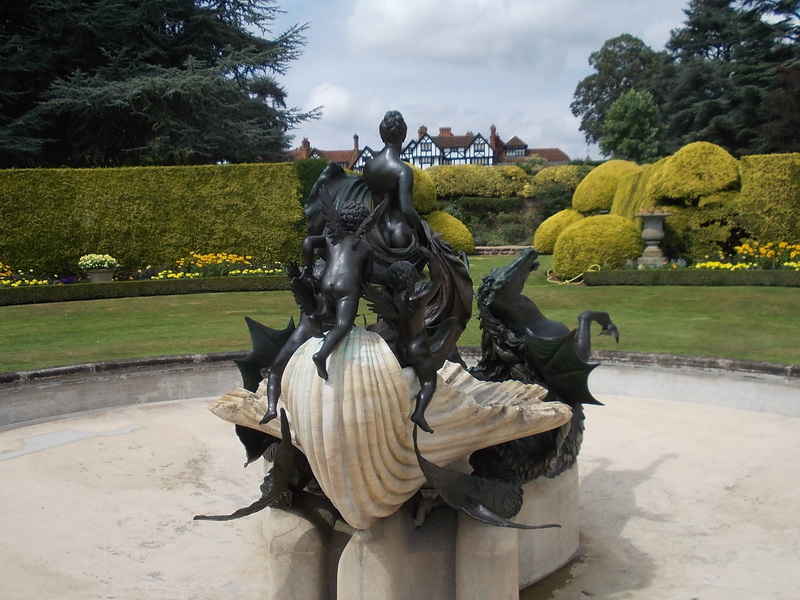 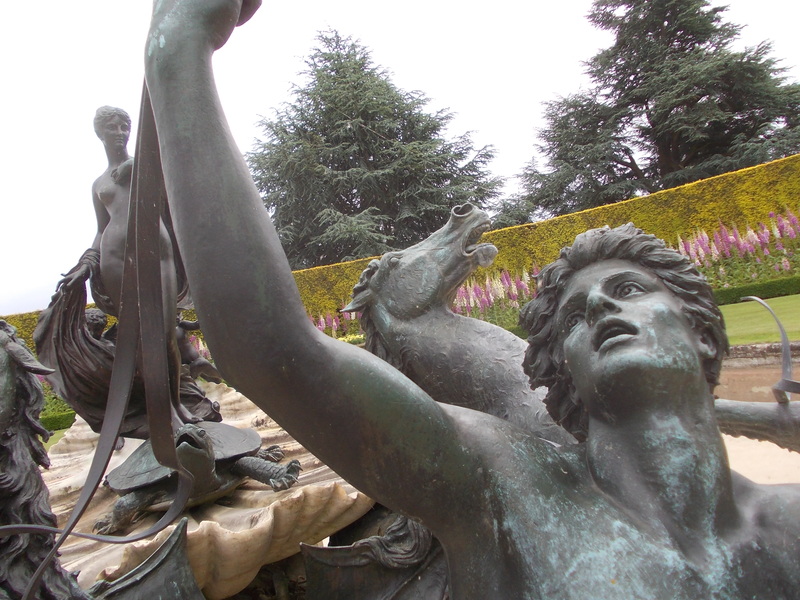 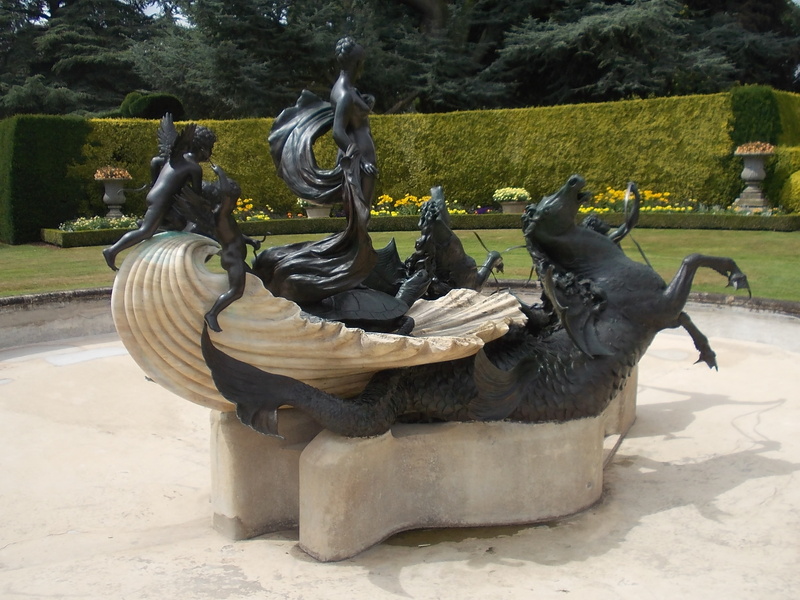 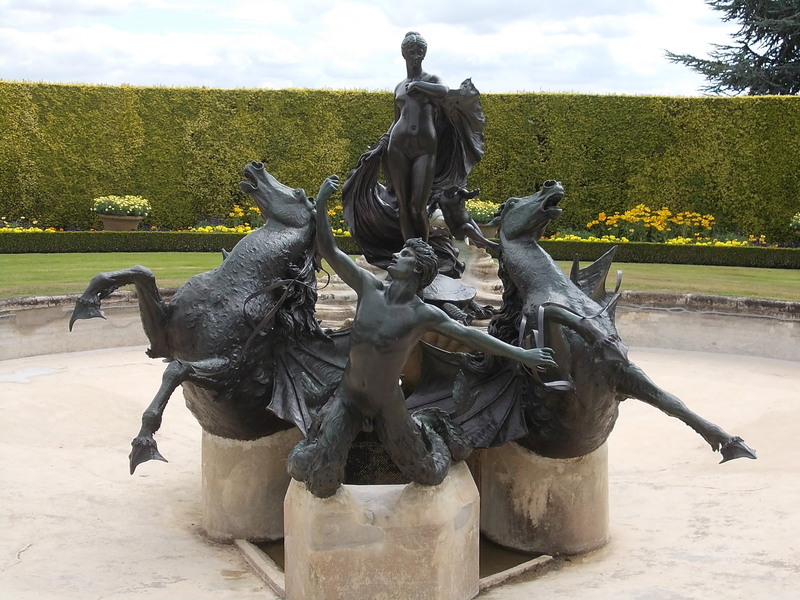 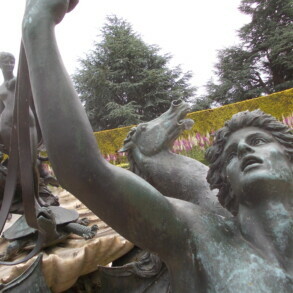 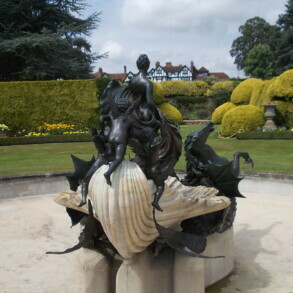 This beatifully sculpted fountain with Venus, attended by cherubs and drawn by magical sea creatures was created by English/American sculptor, Thomas Waldo Story (1855 – 1915). 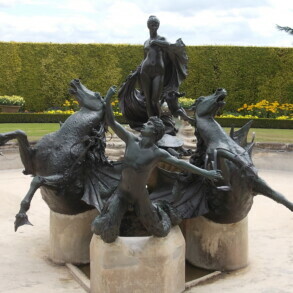 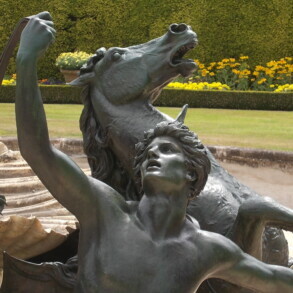 Originally the fountain was part of a re-design of the gardens following the owner’s wedding in the early twentieth century. 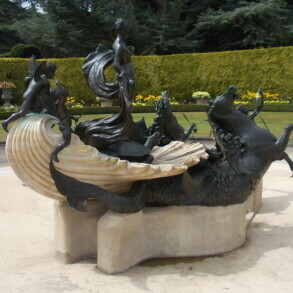 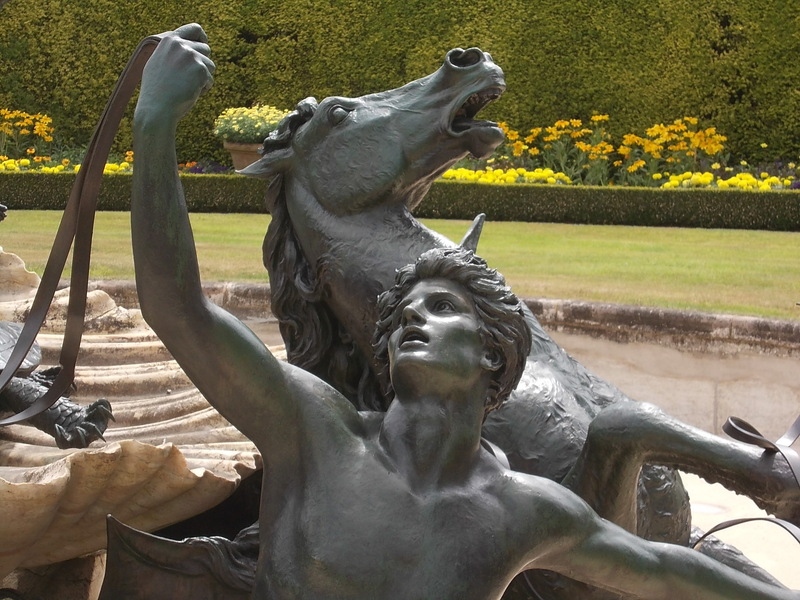 The differential patination makes this a striking fountain – the human and cherub element being a mid to dark bronze and the sea creatures also having greens and reddish browns which add to the flow and movement of the piece. 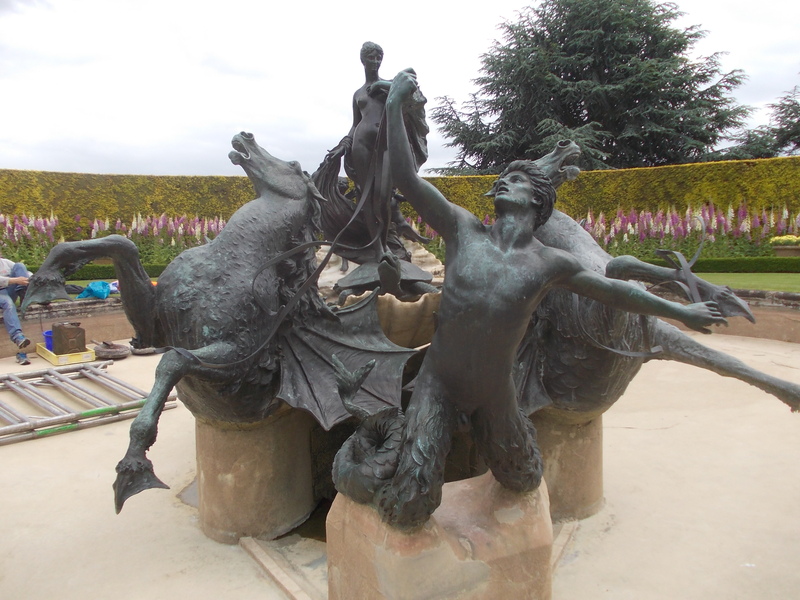 The piece was in need of cleaning, some re-patination and waxing to show it at its best.